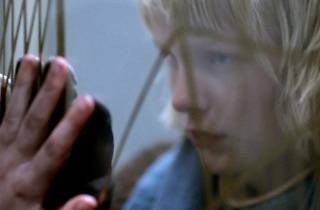 Just when you thought every ounce of metaphor and meaning had been wrung from the vampire movie, along comes Tomas Alfredson’s chilly, claustrophobic tale to infuse fresh blood into the genre. Thanks to the sly way in which the Swedish director sets up his scenario, viewers might wonder if this is a supernatural horror film at all; terror initially takes a backseat to teen angst. Specifically, the alienation and anger of a latchkey kid named Oskar (Hedebrant), tormented by school bullies and obsessed with exacting revenge by pocketknife. Life gets less lonely when a girl, Eli (Leandersson), moves in next door. But something about this new friend seems a little odd, like the way Eli suddenly, silently appears out of nowhere. Or maybe it’s how she freaks out when her guardian (Ragnar) forgets to bring her the liter of type O that he’s just extracted from an unlucky local. 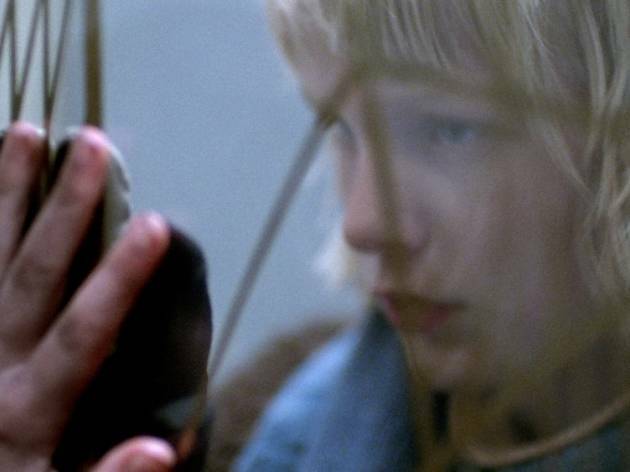 Once Alfredson reveals that yes, there’s a monstrosity in our midst, the director proves that he can yield poetry from the grammar of fright flicks. Sequences we’ve seen dozens of times before—jugular snacking, gravity-defying scurrying, nocturnal raids on snoozing bloodsuckers—are rendered with macabre wit and superlative dread; even a wonky bit involving CGI cats is countered with a peerless swimming-pool climax. But it’s the relationship between these misfit pubescents, one of whom is inconveniently undead, that gives Alfredson’s movie a soulful sadness. As we watch Oskar and Eli bop along to garage rock or chastely spoon, the two seem like normal kids aching to connect. They want to let one another in and can’t. They can only share Rubik’s Cubes, vengeance and hunger.